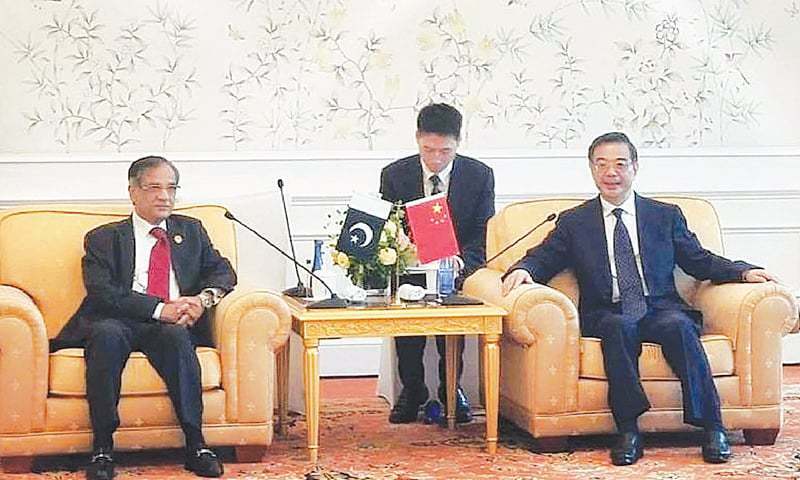 ISLAMABAD: Chief Justice of Pakistan (CJP) Mian Saqib Nisar said on Thursday that the China-Pakistan Economic Corridor (CPEC) was a flagship project of One-Belt One-Road Initiative and the country’s judiciary fully supported it and was committed to taking measures to ease out commercial disputes for smooth implementation of the CPEC projects. He said this during a meeting with President and Chief Justice of the Supreme People’s Court of China Zhou Qiang in Beijing, according to the press release. The CJP is on an official visit to China to attend the 13th meeting of the presidents/chief justices of the supreme courts of the Shanghai Cooperation Organisation’s member states. The CJP said relations between Pakistan and China were supported by the peoples of both countries. He apprised Mr Zhou of the implementation of a memorandum of understanding signed between the judicial institutions of the two countries during the visit of the chief justice to China last year. The judicial cooperation betw­e­en the two countries had started gaining momentum and there was a huge potential for bilateral exchanges in the fields of arbitration, judicial training, automation of judicial systems and use of technology, he added. He said the Sup­reme Court of Pakistan (SCP) had recently held a detailed meeting of all federal departments/ministries with special focus on CPEC. The SCP has also issued directions to lower courts not to issue injunctive orders on CPEC projects unless the other parties have been heard. CJP Nisar also briefed Mr Zhou on the recently concluded Islam­abad Judicial Conference. Mr Zhou appreciated the initiatives taken by the SCP. He maintained that Pakistan-China relations enjoyed full confidence of the leadership of the two countries and bilateral cooperation between the two countries had transformed into a comprehensive strategic partnership. CJP Nisar also invited Mr Zhou to visit Pakistan to attend the upcoming judicial conference on arbitration. He was accompanied by Justice Azmat Saeed and Justice Umer Ata Bandial during the meeting. Mr Zhou was accompanied by Pei Xianding, heaad of the criminal tribunal in China, and Yang Qingming, president of Beijing High Peoples Court.